Woodway Chiropractic Massage & Rehab, PS offers our patient form(s) online so they can be completed it in the convenience of your own home or office. 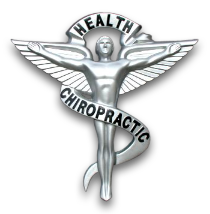 Welcome to Woodway Chiropractic, Massage & Rehabilitation! Located in the heart of LYNNWOOD, the leading health professionals at Woodway Chiropractic, Massage & Rehab are dedicated to helping you achieve your wellness objectives, taking care of your back pain, headaches, numbness and tingling in your legs and arms by combining skill and expertise that spans the entire chiropractic wellness spectrum. Dr. Tsong and Dr. Kim are committed to bringing you better health and a better and painfree way of life through drugless rehabilitation. Patients seeking treatment at Woodway Chiropractic, Massage & Rehab with Dr. Tsong and Dr. Kim are assured of receiving only the finest quality care through the use of modern chiropractic equipment and technology. Dr. Tsong, Dr.Kim and the staff have a genuine concern for your well-being! We also have Spanish and Korean interpreters on site. Quiropractico para toda la familia. Accidentes de trabajo & accidentes de auto. "Wonderful, competent, compassionate, professional staff provide effective treatment. I strongly recommend them!" "Dr Tsong is excellent. He’s funny, compassionate, knowledgeable and is very skilled st spinal adjustments. He’s helped our whole family tremendously!"